A Frugal Family's Journey: We just joined the 800K club!! We started blogging about our frugal family's journey roughly 51 months ago, on March 15, 2014. Our blogging journey started out as a hobby and simply a way to keep on track of our progress. Flash forward 4 years and roughly 8 month later, I am thrilled to announce that because of each and every one of our readers, we just reached yet another milestone. Sometime towards the end of last year, our blog crossed over the 800K mark! 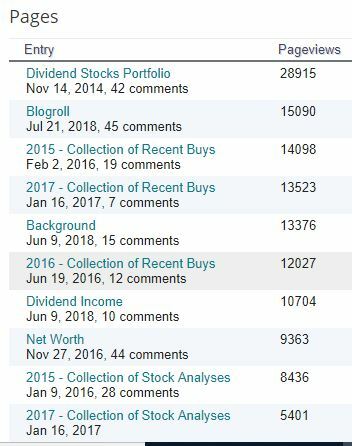 Although we are not as active as we had been during the past, its humbling to see we still have some loyal followers whom continue to click on our posts to see how we are doing on our journey to financial independence. Old or new, we thank each and every one of your for your loyalty and support. As you all may or may not already know, we have found a few side hustles that was simply more lucrative than blogging so we decided to switch gears about a year ago. 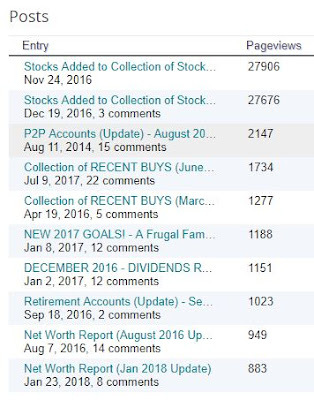 Nevertheless, as of January 1, 2019, our blog had seen a total of 806,618 all time pageviews! 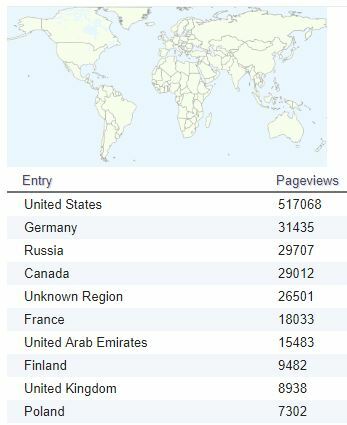 Since I am somewhat of a stats nerd, below are some additional stats behind our 800,000 visits. Also, thanks to all that have tweeted or re-tweeted our posts. 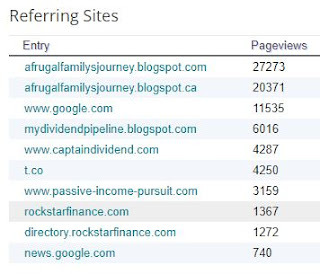 Our additional presence and our followers on Twitter continues to keep our blog relevant. In case you would like to follow us on Twitter, we can be found under: @FrugalFamilyof4. I'm proud to say that we currently have 1,971 followers on Twitter. That is 119 new followers since our last milestone post on July 9, 2017. Our top three most popular page visits are: 1) Dividend Stocks Portfolio with 28,915 page views; 2) Blogroll with 15,090 page views; 3) 2015 - Collection of Recent Buys with 14,098 page views and 4) 2017 - Collection of Recent Buys with 13,523 page views. 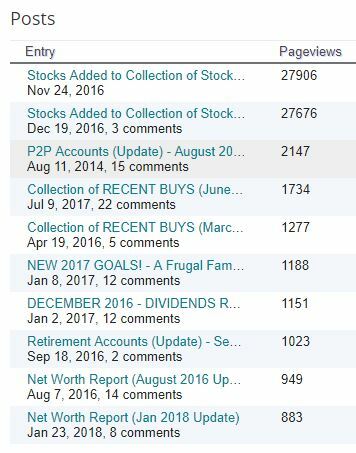 Our top three most popular posts are: 1) Stocks Added to Collection of Stock Analyses - December 2016 with 27,906 page views; 2) Stocks Added to Collection of Stock Analyses - November 2016 with 27,676 page views; and 3) P2P Accounts (Update) - August 2014 with 1,734 page views. Wow...What a drop from 2nd to 3rd! I'm thinking we might need to bring back the Collection of Stock Analyses!? What do you all think? congrats thats fantastic. nice to see the speed in which you hit all those milestones as well. Wow, that is awesome. I am a long way off reaching 800k viewers. I am still yet to crack 100k total views but I might crack it this year if I am lucky. Thanks for sharing all those stats. It just a matter of time. Keep posting content that others enjoy reading and you'll continue to grow. Thanks for the support! On a side note, it looks like Germany is your second biggest source of page views.